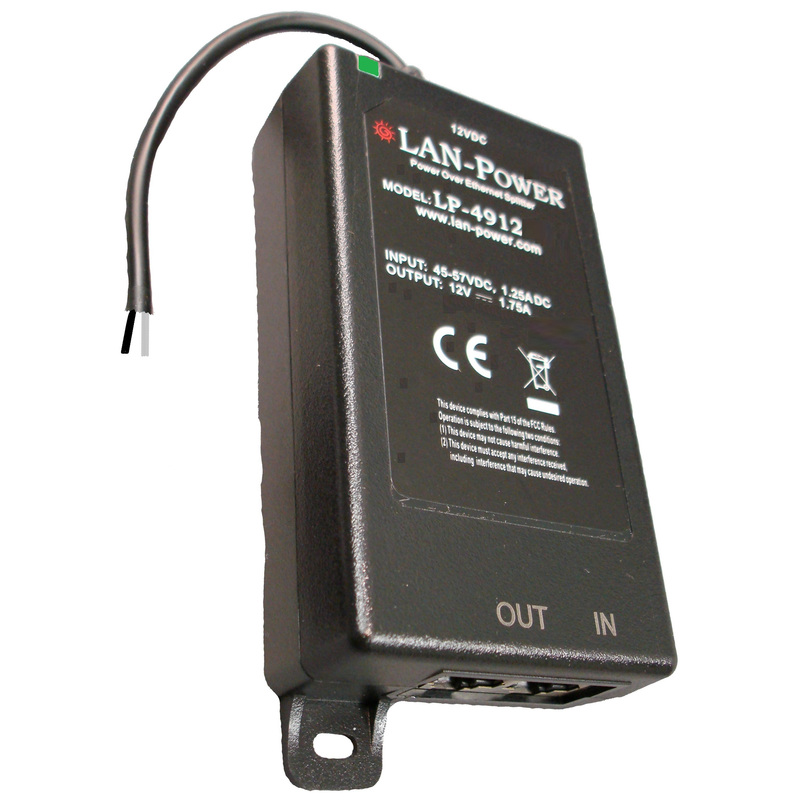 The LAN-Power LP-4912POE is a Dual Voltage ULTRA High Power PoE Splitter. Most IP Network End Devices available are PoE Enabled which allows them to be powered on the same LAN Data Cable (CAT 5 or higher) which provides Data transmission. The LP-4912POE is designed for applications where the requirement is for a PoE enabled IP End Device to be provided with PoE power along with a complimentary, standard 12 Volt DC device (such as an IR Illuminator, Access Control Lock, Camera Housing Heater and/or Fan, etc) to be provided with standard 12VDC power. 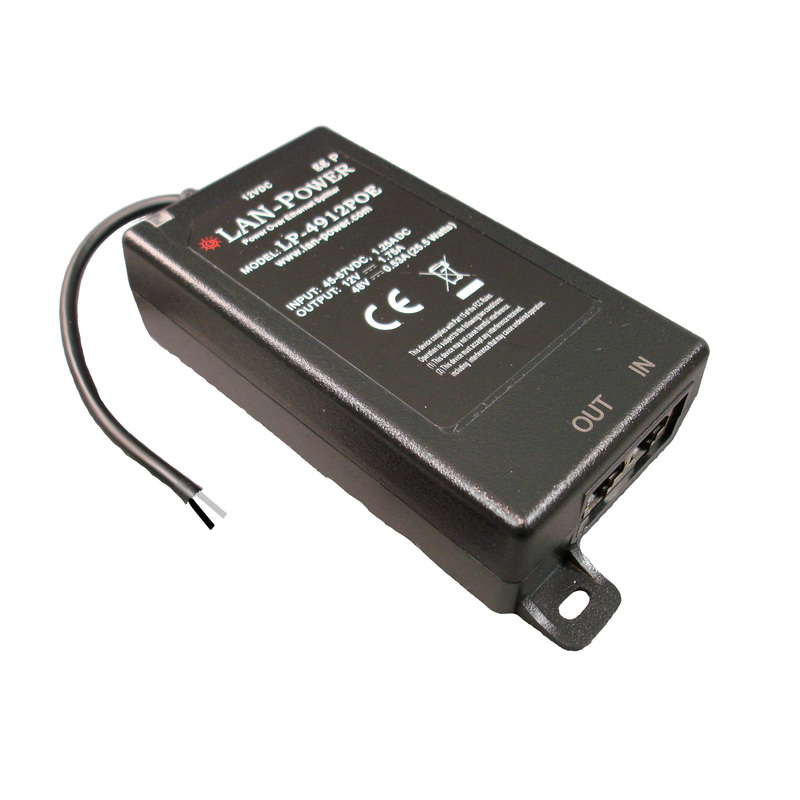 The LP-4912POE provides BOTH PoE Power Output (25.5 Watts) and 12VDC Power Output (1.75A DC).